Drop ins welcome! Participants should wear comfortable, loose clothing and bring a water bottle. 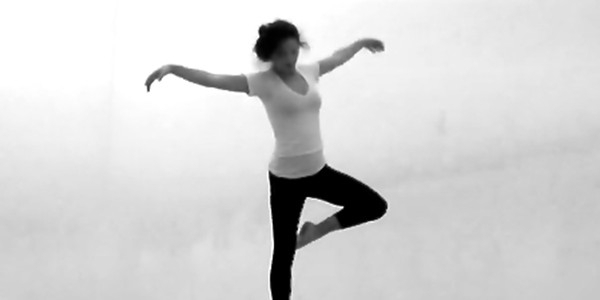 Find your inner fluidity while we dance with the freedom of creative movement. We will explore what it means to truly connect with our bodies. At the beginning of each class we will set an intention that will guide our personal and unique movements, and establish a connection to our breath and to the ground. With light instruction in movement exercises and concepts, we will gradually find our paths of exploratory movement. Music varies each week, but the playlist follows a wave-like momentum of starting slowly, gradually building to a peak, and then returning down. Dancers are encouraged to move at their own pace, paying attention to what their body requires in each moment. Freedom to Move is intended to be honest exploration within our bodies, allowing us to feel more comfortable, confident, and free spirited. No prior dance experience is required, only a readiness to explore and move freely. Claire Kawski has been a part of the amazing ArtisTree community since June 2016. She has loved getting creative in her visual arts classes and summer camps, as well as in her exploratory movement class Freedom to Move. Claire received her art education from Wheelock College in Boston, and she now works as the art teacher at the Montessori Children’s School in Hanover, NH. Whether teaching children or adults, Claire loves to inspire her students to make creative decisions of their own and to push the boundaries of imagination.